It’s Friday, so time for another Q&A session! How to register a new company and stay under the VAT threshold? Can I transfer the feedback from my personal account to a business account? Should I sell unique products on Amazon? Does your program work in Australia? 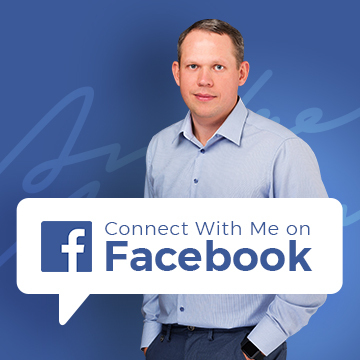 If you have a question you would like me to answer in future Q&As, get in touch with me here. I saw a comment that was left on one of your blog posts about VAT and trying to stay under the threshold via registering separate businesses. I currently resell branded products online (clothing and shoes on eBay and Amazon) as a sole trader, staying just under the threshold. My current business would not be profitable if I had to charge VAT so becoming registered seems like a bad idea. I am looking at designing and ordering my own unbranded products, imported from China, then also selling these online as a new Ltd.
My accountant tells me that HMRC would most likely consider them the same business as they are online even though they are not selling the same type of product. Firstly I am looking at towels but there is not a specific area I will focus on… My accountant does not seem 100% sure so I wanted to ask your advice on the viability of having these as two separate businesses? In cases like these, it’s all about how HMRC interprets your situation and whether they feel it’s ONE business or not. The law on this is quite vague and unfortunately that leaves a lot of room for interpretation. So you would really need to find a tax consultant who could take a closer look at your individual situation and analyse your plans properly. Register both companies as separate Ltds. Have a different business location/address for each of them. At the end of the day you’ll have two different businesses here – two different eBay, PayPal and bank accounts – basically two different companies selling totally different products. So with some attention to detail I think you should be able to register these businesses separately and therefore stay below the VAT threshold with both. If I increase my seller rating on a personal eBay account and then register as a business/trader will my feedback be transferred with the new changed account? Just don’t register a NEW account for the business – simply use eBay’s UPGRADE feature (change account type) to change your current, personal account to a business account and then all feedback and your selling history will be carried over to your new business account. In essence it’s not a new account – it’s the same – you’ve just changed the account type from personal to business. You can actually do the same on PayPal and upgrade a personal account to business but I wouldn’t recommend doing so as you’ll most likely still want to use PayPal for personal purchases too. So if that’s the case it makes more sense to register a new PayPal business account which you’ll use solely for your business. Remember – at any given time you can only have one personal PayPal account but you can have multiple business accounts. I have another question for you about warranty. I have found a supplier in Hong Kong, who I think is reputable. I would like to buy a Samsung Galaxy S5 as a sample order. However, I am confused about warranty. I know you do not work for Samsung, but maybe you can help me with this question? Apparently every Samsung product comes with a 1 year warranty from the country it was manufactured in. However, are you aware at all about the term “parallel-imports,” or “grey market” goods? The company that I wish to buy from is called “Universal Drop-Shipping Ltd,” and apparently their products are as mentioned above, i.e. “parallel-imports” or “grey market” goods, which means they do not provide manufacturer warranties with their products. Are you at all aware about what this means? Because as far as I know, I have spoken to Samsung, and they tell me that all their products contain a 1 year manufacturer’s warranty. So I ask you Andrew, what exactly does “parallel-imports” or “grey market goods” mean? “Parallel imports” (also called “grey imports”) is a term used to describe goods that are being sold in a different region to where they were meant to be sold. For example mobile phones manufactured for sale in Asia being imported and sold in Europe. Just to be clear; I’m not talking about fakes/counterfeits here – these are 100% genuine products – just being sold in an area different to what the manufacturer designated. There’s currently a big debate over this in the European Union and I predict that new laws will be introduced in up-coming years to regulate this. From what I have heard, it looks like the EU wants to remove the idea of grey imports and allow free trade of goods no matter what region they were originally produced for. But that’s just my take on the current events and obviously only time will tell if it pans out. In most cases though we’re talking about exactly the same goods here, maybe minus some small alterations in the packaging. As for the warranty – I haven’t researched this in great depth but my understanding is that it differs brand to brand. Sometimes companies will still accept goods under warranty regardless of their original retail area but others can be very strict about this. Take Apple for example; their warranty is very specifically an international warranty which means it doesn’t matter at all where it was purchased from, as long as it’s still under warranty it will be repaired/replaced with no problems. But then contrast this with DSLR manufacturers (Canon and Nikon), as an example of companies that are extremely strict on regional warranties and won’t entertain warranty requests outside of the original region. Then in regards to your question about Samsung specifically, I believe Samsung operate on a regional warranty scheme. So not quite as specific as country by country but still – within the EU, within Asia, North America etc. so you may have problems importing from Hong Kong to sell in Europe. But as I said, I’m not 100% sure about this so your best bet is to contact Samsung in the UK to find out exactly how this would work. I currently run and own an online store that targets individuals in one specific sports market. We currently have a small office space/warehouse and are looking at possibly listing some of our products on Amazon. Is it a smart move to do that with products that aren’t already listed on there? The fact that no one else currently sells those products on Amazon may well work to your advantage – at least for a while before others catch on! Obviously, there’s a small risk that there’s no demand on Amazon for these products but you’ll never know for sure until you try it out! One way to check possible demand is to simply use the Keyword Tool in Google AdWords to see whether people actively search for these products on Google. And if they do, then you can be sure they also search from them on Amazon. Also, you mentioned you already have an online store selling these products so I’m presuming there is a good market for them online. If that is the case then I can say with 99% certainty that the same products will sell well on Amazon too. So just give it a go, you really have very little to lose and a lot to potentially gain by opening up another selling channel! I am interested in your latest video course. I was wondering how relevant it was to someone in Australia. 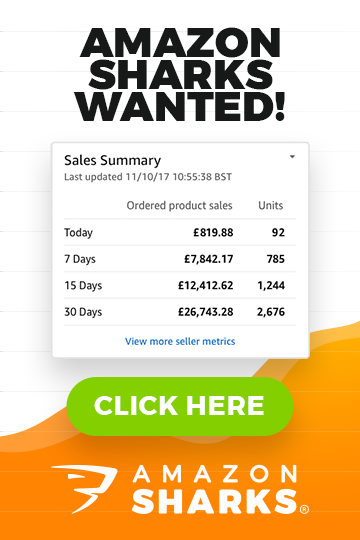 I am already a Top-Rated Power Seller so wanted to know whether I’d still get a lot out of the course? Also are they videos or more like power points with audio over the top? Are they downloadable or do I have to stream them when viewing? As I want to watch them on a plane. Thanks for your interest in my Easy Auction Business video course. My system works in Australia as well as it does in the UK, USA, Canada, Germany and any other country that has its own local eBay site. I have many customers in Australia and they use my concepts with the same high rate of success as my customers within the UK – in fact; from what I have seen – Australia is even more profitable as there is not yet as much competition there compared to say the UK. The videos are pretty much power point style presentations with voice over, yes. It’s very ‘graphically rich’ – with tons of images, real videos, graphics etc. so it’s really easy to watch and grasp all of the information. All videos are hosted in our members-only area and are available to stream as well as to download onto your computer or mobile device. You can even download just the MP3 files to listen to the course or print out PDFs to read over everything. So it’s perfect to take on with you on a plane! I have found this company on Alibaba and they have their own business site too. Could you please find if it is a trusted company or just a scam. i don’t want to lose my hard earned money to these types of scams. Thanks for all the great advice you are providing here. Very much appreciated. Is it completely legal to resell goods bought from charity shops on ebay if I register as an ebay business and limited company/sole trader? Charity shops give receipts but products are not well described, they have very generic names like bric-à-brac or clothes etc. would this cause me an issue when it comes to reporting to tax office? I guess I cannot buy from car boot sales since they don’t provide a receipt. Hmm, you will probably need to consult an accountant for this..
Technically from what I know you can do this by creating/printing your own receipt/invoice which describes goods in detail but I’m not 100% sure. Sorry, not much help, I know. here’s an idea for a post, not sure if there’s much to write but could go nicely with your listing titles post. recently a GTC listing of mine was at around 250 in the search rankings and was in a very obvious and in my opinion right category, a category five layers deep and naming the item exactly. however, when I checked out competitors, they were listing in two different categories, both appropriate but not naming the product outright. When I changed my listing to the two categories the competitors where listing in i jumped up to 5th/6th. I don’t know the product but it could be that the other category was more suitable to what buyers search for..
Or it could be just a glitch!